Dermot O'Leary finally gets to do his real job and provides a great introduction to the first Live Show. Simon Cowell has suffered what is hopefully just a minor heart problem and is missing from the first week's shows. We wish him well. We meet briefly the four Wild Cards as Jack & Joel, Talia, Alisah and Leon get another chance. We are also told about a change to the procedure whereby one act will be sent home out from the Girls or Boys categories on the Saturday show and another from the Overs or Groups on Sunday's show. This will be based entirely on the public vote during the evening, as will the candidates for a prize, this week a trip to see and meet Pink in New York. This means we, and the acts, will get to know who is the most popular each week. That could be interesting. Tough on those who get chucked out so early. I have always maintained that the first dismissals should be deferred so that everyone gets a chance to settle and the viewers get a chance to know them. After that then, if there is a time pressure, several can be deleted at once but I have always thought the first week dismissals to be cruel and unfair, even though there are some rubbish acts that may deserve to go. Occasionally, however, a good act will mess up or simply not get appreciated as quickly as someone else. The theme for the first two evenings is Express Yourself which, basically, just lets the acts choose whatever they like. I rather suspect that will be the case throughout. This youngster gets the honour of kicking ff proceedings and does a pretty confident job of that too. She is quite likeable. A bit wobbly to start with but soon gets in the groove. No fear. Goes off-key and wobbles again in the middle but recovers a bit. She's not bad but she's going to go before long, I suspect. Dermot mentions Towcester as a venue for the First prize! Not sure where that came from but thanks for the link, Dermot. I've heard he has a nice movie-star girlfriend. That may put off the girls who might otherwise have voted purely for the way he looks. He is a very good singer, a real professional with a Bryan Adams style of sorts at times. Excellent performance and he really should have some appeal. I'm not sure how here 'Yorkshire lad' image will come across to voters as she is a bit confusing, image-wise, quite hard at times and then also way older than her 16 years too. This is a brilliant start for her, though. And she looks good. A difficult song and she comes across very professionally indeed. A really good performance. She should be safe. A bit of an unknown so far. 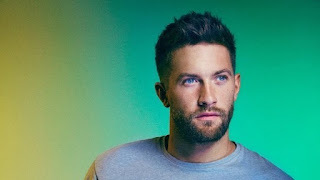 A weaker start than Spencer but still pretty good and nicely in tune and he moved around well, noticeably appealing more to younger fans than Spencer. Quite a surprise, in fact, and overall he was very good. A roller-coaster ride this has been for her, even allowing for the production team's editing of her progress so far. Her performance is theatrical again - just like a West End girl. She is good, very emotional but with super control and finishes well after recovering from one missed note. It was a big number. Nice girl. Laughing a lot as Dermot tries to interview her. That will make her have even more appeal, I'm sure as she does seem very natural. However, this is the Disney Girl, not an X Factor winner. This guy has come back from nowhere to make the Live Shows courtesy of Louis. He's retro but very good. A bit odd in this competition and sounds a bit the same all the way though but a good effort. An interesting guy, seems relaxed and could be popular and definitely competition for Leon. Another own song! How many has this girl got? You'd think this would be quite a risk for first night but all credit to her. I am not sure the make-over has worked well for her. The song is nice and very well-performed indeed. She is good on the big stage. Nice job. Good solid performance but he comes across as rather boring to me. All very smooth but I just don't think he's X Factor material. In a brutal ending, Spencer is the surprise first exit. I wonder whether the US connection simply didn't work well. In Part 2 it is the Groups and the Overs. Alisha replaces Simon this evening as someone needs to introduce the Groups, his category, and speak for them. This super trio starts the show and it is a marvellous start with What About Us. The girl, Shereen, is very attractive and so professional, really at home on the big stage. Great performance, genuine stars. Good to see the two boys also playing their part this time too. I like this band and hope they'll be around for a good time. Potential winners. AN unusual song. Slow, bluesy but it does develop with a lot of passion and that helps to show off his really very good voice and lovely personality. Nice job. Faultless performance number two in this edition. Extremely long legs. Sings a slow version of Id's You Don't Know You're Beautiful. Not that great. Nervous at the start and not in as great control as I'd like to see at this stage. Notes a bit wrong and inclined to shout too. I'm not sure she'll make it. Nice couple of lads, back as Wild Cards, and they immediately remind us just how bad last year's Ottavia were. These two are talented and come across very well. People will like them. Cheerful and energetic. Nice performance and one is a very good singer too. Good work. They'll get through. Earthy voice. Quite good and in tune with some energy and a good attempt at some drama. Bit of the Bruce Springstein about him perhaps. Not spectacular, though. A better image than Talia s he's safe while she's there. The younger lad seemed very nervous tonight and nothing like as in-tune as he has been before. The performance improved a bit as they settled and it was quite interesting but not a great song and a big risk at this stage. I'm not sure how much support they'll get with that start. A London grammar song is a great idea and nicely current but will enough voters get it? They may struggle. Something of a dark horse, this girl. A very good performance. Maybe a bit dated but I can see she'll have a lot of appeal in the Amy Winehouse-type sector. She'll survive and may well do very well. Another original song. Very good and very commercial as well. Well done. A good presentation and each member has a way to come across well. Lots of energy and all very current which puts Sean & Conor Price in the danger zone.Amazingly good response from the audience too. It looks like Talia shoul;d be the one to go home and, yes, that's the way it goes. Rak-Su get the #1 spot in the public vote. So it is for them to sing again with Grace to decide who gets the trip to see and meet Pink. Grace does a remarkably good performance of her own song Too Young. An absolutely lovely performance. That's a hit single, for sure. Rak-Su redo the track they finished just a short while ago. That's also very good and also original and another hit in the making. I find this 'Prize Fight' thing necessary, though, and a bit odd as well as unbalanced. Don't really see the point. 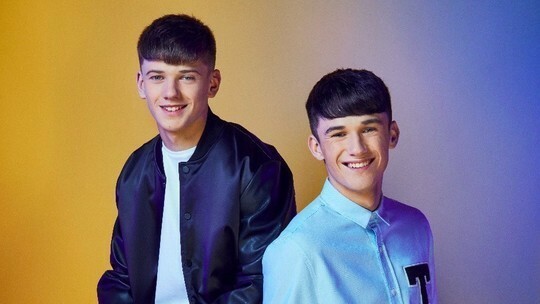 It's great to hear to best acts again and all credit to the team for getting that on the menu but this stupid 'Prize Fight' is pathetic and just sad ITV again. I would send them all over to the States or simply see who actually wants it. It was obvious that Grace was a big Pink fan and sort of matched the prize best. I don't know who Rak-Su follow but doubt it would be Pink so they'd not be so bothered other than having a great holiday. It comes a quite a relief and definitely the fairest result, then, to learn that it is, indeed, Grace who gets the trip. Whether that was really just on the public vote during 5 minutes we shall probably never know. A very, very long programme that also included Stomrzy's quite impressive new single, a quite religious affair featuring Labyrinth. 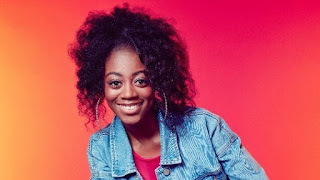 Very disappointed that Deanne didn't make it to the Live Shows. As each contestant will survive by the public vote each week this year then I guess if she couldn't garner more than Alisah then she would have not got far anyway. I still think that Alisah and one or to others are destined not for the Top 20 but the West End. Here are the Top 16 for this weekend. They will be whittled down very quickly so this weekend may well be the last time you'll see some! Judges House Round: thank goodness for Wild Cards! It's Judges' Houses' time and the 24 acts get carted of to sunnier climes for some reason I have never been able to understand. As far as I can make out, it is a sort of reward for reaching this stage, which, indeed, is quite an achievement even for the talented, coupled with a chance for the production team to put some gloss on a programme for weekend viewers. Lastly, it provides about three days for the acts to demonstrate to their mentor and sundry advisors how suited they could be to entertaining the viewing public every weekend at prime time through 'til Christmas. There is a considerable amount of Sunday magazine-style glossy stuff in the two long programmes we get to see. Lots of shots of lovely scenes and expensive-looking houses, sofas on patios and the obligatory sunsets. Dermot is consigned to the role of some sort of hugging gate man, lurking some distance away from the patios where the judge and advisors sit. Slapping the backs of people as they go to perform and, occasionally, commiserating with those who don't make it afterwards. There is not, therefore, a great deal of actual performance. Just one, often truncated, track and that's it. I have always thought that, at this stage, it would be good for us to see several performances by each act and that would help us see much better why the judges choose who they do. There is a considerable amount of filler and shots of people hugging Dermot or being nervous and, therefore, lots of space for more by way of performances. Anyway, here goes. First we meet the Overs with Nicole. Nicole adds someone called Stormzy to the show to help her make some decisions. Neither seem particularly appropriate choices for this group, Nicole being easily the youngest of the judges but never mind. Kevin Davy White looks like a potential star. He sings one of his own songs. Risky. I'm not sure about the song but he seems to me to be a sure-fire candidate for the Live Shows. Nice personality and definitely lots of talent. My first choice in this category. Berget tries to sing Clarity but messes up at the start and never really recovers. She is not exceptional. I am not sure the public would warm to her, despite the fact that she may well be able to perform well given the chance. Slavco sings JLo's On The Floor. He's a great performer, very confident but tonight he seems out of tune most of the time. Yes, he has the 'Entertainment Factor' but I feel he needs to be able to sing better and have more than just some long pigtail to offer. I would have left him at home and not bothered bringing him here but I guess Nicole had her reasons. Just thank Heavens that Louis didn't get this category or Slavco would be in the Live Shows. As it is, he really shouldn't be after that. Matt Linnen sings Everyone's Free and has a slow start which is never that great an idea. He is in tune, though, and eventually gets going but he is nothing like as good as he has been before. He's OK but not great at all. Talia Deane sings Do You Really Want To Hurt Me and has the best start of all so far. She gets a lot of emotion across in her singing and is really quite good in places but not totally convincing. I feel she still ought to make it and that she could have some appeal to voters over the coming weeks. She's not a winner, though. Tracy Leanne does You lose A Good Thing and I am always surprised by her voice. She seems to be coming across now as the most talented of all of them in singing and could be quite marketable too as she is quite unique. You sort of see her filling the space left by Amy Winehouse in some respects. This is really not the strongest category and I am not sure how far any would go in the competition. My choice would be Kevin | Tracy | Talia. Nicole chooses Matt | Kevin | Tracy. I wonder about wild cards? Now we move on to the Girls category with Sharon. Sharon brings in the kids Jack and Kelly to advise. I am really not sure what they can add, other than a younger viewpoint but they haven't exactly been stars in their own right in the singing side of things. I tend to worry about Sharon's judgement and reasons for choice anyway but now see even more likelihood or mistakes but we'll see how things go. This is a very good category with some difficult choices to make. Holly sings Russian Roulette. It's a confident start. Right in tune and she is very, very professional. I am not sure how she will look on the big screen. There is something that puts a distance between her and the audience. She is brilliant but I wonder whether she might be more West End theatre than X Factor. Certainly a contender, though. Rae-Elle sings Somebody That I Used To Know. Quite a different version. Good once she gets going. She includes her own rap element in the middle and is spot-on in tune all the time. Very talented. I would find it difficult to choose between her and Holly. Alisah is this year's 'come-back girl'. It seems that at almost every stage something happens and she gets rejected and then after all sorts of scenes of emotion she gets back again. She sings Lay Me Down. It's a lovely song and beautifully sung. This is a better performance than she gave at the Six Chair Challenge first time round but I do wonder just how 'current' she really is. She strikes me as an obvious and potentially really popular and successful West End Theatre star and she could sign the D I S N and EY off Disney tunes. She could be good TV but I am not sure about her now. Grace is a stand-out singer and a really talented songwriter, one of the best discoveries of this year's series. She sings yet another original song called More Than You. I think she seems to be doing really well but Sharon doesn't and interrupts her. Sharon doesn't like her intonation, the way she clips her words. I didn't really notice but maybe second time around she seemed slightly better. I reckon it must have been very difficult to have to sing again in such circumstances. Grace gets quite emotional and struggles with her own song. I had thought she would be a certainty. Not so sure now., from the way Sharon has treated her and emphasised how she is a great songwriter but not all songwriters make the best performers. Deanna is due to perform next but seems to be a little emotional. Nothing more than many others have been, though, but Kelly O decides to take her for a walk and they put on Georgina instead. Georgina wants to be called GG and sings In The Air. Before she's been quite wobbly although pretty good. She starts this time very confidently and a clear 'performer' - more so than the four before. Her obvious competition is Rae-Elle and even, to some extent, Talia, in the way they come across. Any other years she would easily be through but this year I do not know. She needed to be exceptional to make that difference. Deanna is back again. Her song is Don't Call Me Baby. 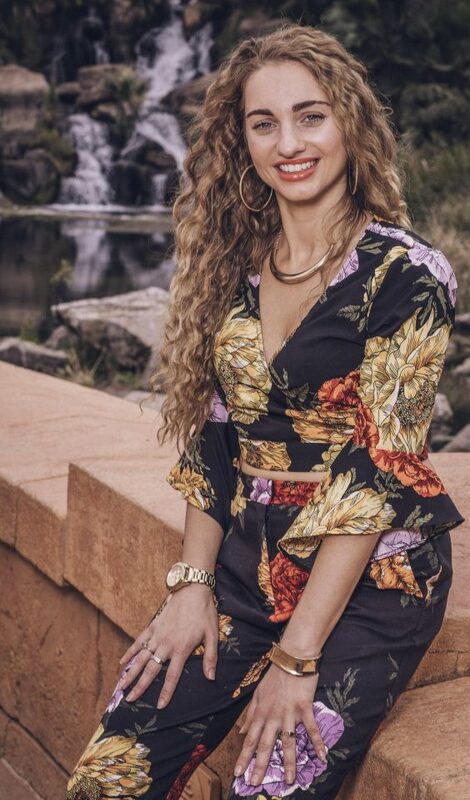 She is so attractive and remains my #1 choice for the whole competition this year. She is immediately at ease and really, really good, just naturally hitting the right notes and moving beautifully. She has the sense of Whitney Houston about her coupled with a little vulnerability. I like her. Sharon's choice is Rae-Elle | Holly | Grace. Wow. No Deanna? That's extraordinary. I really had her on the Live Shows as a dead certainty. We need that Wild Card now more than ever! Next Simon chooses the Groups. He is helped by Cheryl who seems a little quiet but looks very naturally pretty now rather than the very much made-up girl she had been in the past. I do tend to trust her choices, though, as well, of course, as Simon's so hope for some sensible choices here. 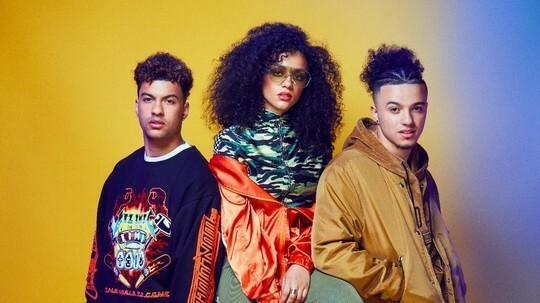 The Cutkelvins have a really good audition. The girl singer is 'cute' as Cheryl says but I would say she is confident and the star of the show. Surely this group is a must for the Live Shows. Lemonade have struck me as being a little weak 'til now. Praise You is their song and it starts slowly and then kicks in big time. It's a tricky song at the best of times. They have talent but I fear they sounded as if they were trying too hard. New Girl Group is the group of six individual applicants who still have no name. they do Misbehaving which is OK, good in places but i am not sure the beat Lemonade. Six good singers but they don't inspire me much at the moment. Talented, yes but I wonder whether either will make it. Jack and Joel are very different and Louis would put them through in a heartbeat. A couple of intelligent Oxford lads who have plenty of fun about them and also have a sense of how to be commercial. They do a medley of Let's Get This Party Started and Get Your Freak On which didn't work for me at all. It wasn't a medley anyway, merely one followed by the other. They have great personalities and one has a great singing voice too but I don't see them selling many records really. 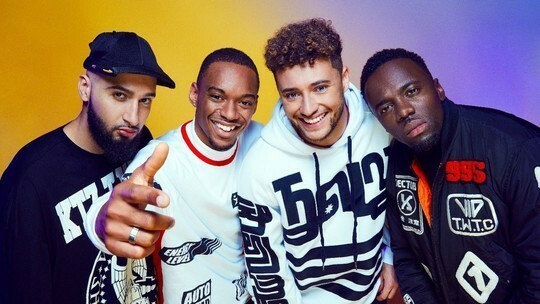 Rak Su are a Watford group and sing their own song. They did well. Rapping in London style, Cheryl says, is a good thing that the Americans will love. They're good writers as well as performers and very likely candidates for the Live Shows from the start. Sean & Conor Price were my early favourites. This time they do What About Us. They're pretty good but I'm not so sure they have matched their first performance. 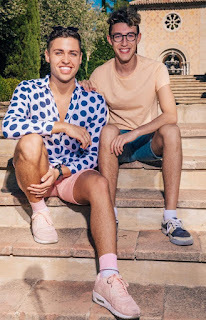 They seemed to go down well and I can see them making good TV and being much liked in the Live Shows if they do make it. Just one girl out of twelve makes it in this category. So far. Louis has the Boys and brings Mika in to help him. Now I remember Mika and he is definitely a talented chap but I am not so sure many, if any, of the lads actually knew who he was! Aidan sings One Last Time and is pretty confident and gives an accurate performance but I am not yet sure how he'd go down on Live Shows. He has a good voice, mostly well in tune but just a little over the top in places. He gets a decent length audition, one of only few we've had so far. He gets great reviews from Mika but Louis seems not so sure. Sam Black is a substitute for Anthony Russell who, we are told, has had to drop out due to 'personal reasons'. They usually mean he's gone to jail or something. As far as I can make out he got caught taking drugs or something and so was persuaded to drop out. This may well have occurred before we saw the Six Chair Challenge show broadcast. It is interesting that Sam was brought back as he didn't actually reach the Six Chair Challenge. I liked his retro style and I wonder whether Louis was also a big fan and that's why he has now been able to choose to bring him back in preference to the others who were rejected at that later stage. He sings Hard To Handle which is pretty old school all right. I could see this working in 2017. He has a great voice and that is an excellent audition, albeit it very short. 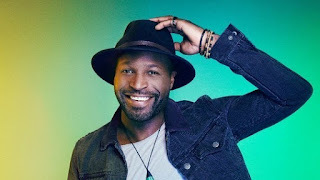 Leon sings Dreams and has a modern sound and good voice too. Another very short audition, though, and difficult for us to see how well he has done. He has a good vibe and adds his own rap addition but I didn't feel it really ever went anywhere. Jack sings Clown. He is possibly the best singer so far. Very talented and puts a lot into the song. Nice job. It could get him through. Older people will like him but I am not sure of his appeal to younger viewers or whether he's sell much more than albums at Christmas to the grannies. Spencer sings an original song about his dad. It's an emotional performance. A very good song and this guy can sing really well. 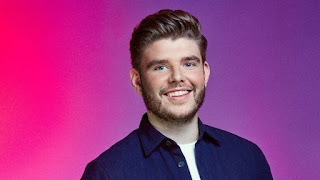 I'd like to see him get through as I think he could surprise us all in the Live Shows. Lloyd sings How Far I'll Go and actually I reckon this guy has the best 'proper singing voice' coming across as a sort of choir singer that has been very well-trained. But it is dated. This guy is bound to star in the West End but he's not X Factor material, despite being very, very good at singing. Finally we get told that there will be 4 Wild Cards again this year. Thank Heavens for that. I can only hope that Deanna gets the Girls Card. For the Boys it ought to be Aidan. For the Overs, I'd like to see Talia get a chance but worry we'll get Slavco. The Groups are a tricky choice and I don't know who would make it. I'll guess it'll be Jack & Joel as it is the public voting. Simon may override that and bring the New Girl Group back to restore the male-female balance. Now it's Simon's turn with the groups, most of which we really don't seem to have seen a great deal of so far. Afro Swagg are first. No idea who they are. OK, some fun and they're got some appeal but I can't see them going very far. Beau Road - another virtual unknown, although I do vaguely remember the very first audition. The first vocal was not good and they go off key afterwards several times. Not good. The Cutkelvins - we do know them and they have been good, helped by an experienced girl lead. They're really good this time, streets ahead of the first two acts. A good length audition too. I don't understand why the auditions are such different lengths. Are they being cut back for the TV show? Lemonade - another group we have seen almost nothing of. In fact I wondered whether they were a made-up group from entrants in other categories! They're very good and seem young and current too. The audience love them. Pretty clear that they'll be retained. Easy Life - and another I haven't remembered, if, indeed, we've seen them before anyway. This is a replay of XFactor USA's Alex & Sierra's Say Something. Very nice but too short. Signs of talent there but they are a few years late. Jack & Joel are in competition with the other brothers coming up. there's not really room for both, although they are different. A pretty professional performance was surprising with beat boxing and stuff which will have limited appeal. That gets stopped and they do a second song.That goes down well too and difficult not to give them a seat after that. NQ - another new one on us viewers, competing with Beau Road and Lemonade. This is a bit boring, though. they're OK but not going anywhere. Nicole doesn't seem to be a fan and they don't get a second chance. 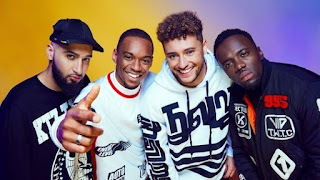 Rak Su - these guys we do know and they have also done well so far with very good reviews. They're doing an original track which is modern and maybe a bit boring but the crowd love them and the panel definitely want them. They get Beau Road's seat. JBK is the Filipino group that we saw a couple of times. They're not for the UK market, though, just a cruise ship band. They could be good but they're something from the 1990s and the accents and style are not good in 2017. They get worse as they go on and end up being pretty poor. Louis, Sharon and Nicole seem to love them. Eh? Not sure why. Louis says they're the 'best vocal group'!! My God, Louis, what are you listening to? Odd indeed. They still get Afro Swagg's place. Sean & Conor Price have been my own favourite act in the Groups category since they started. I find them an impressive talent. Louis says they're his favourite too. They do an original song. Nicole says they're her tip for the competition too. They get stopped. It seemed OK to me and far too early to know how the track might have developed anyway. They get a second song. It's a bit of a mess but I still want to see them through. They get the seat and the Easy Life pair go. Pity. Now, Simon has formed a new girl group. Apparently they only got together at 10pm the night before so what they produce is all the more impressive. Hey Mama a Nicky Minaj track is great and really suites them well. The girls all come across as professional. It's pretty clear that they'll get a seat but there's some playing around with the viewers to come. Simon decides that they need another singer and brings in someone called Ash who was in one of the other groups. Not sure which. This is odd TV as well as you get the feeling it is not all as unplanned as it might appear. The new girl gets to demonstrate how she can fit in at a moment's notice and they get a seat, of course. JBK are sent home. Good, although everyone shouts about that. there's a sing-off between lemonade and JBK and it's even more clear that sending JBK back to the Philippines is a good idea. Nicole is not at all happy and walks off. Louis wanted JBK too. Heaven help us. Next we have the Overs and that is Nicole's category. Danny Lambo is first up and I hadn't even realised that he was still in the competition. Goodness knows how that could be. They must be very short of talent. The crowd actually boo him. He's very poor but gets a seat. This is not a good start. Talia Deane is next. She's nervous but really very good, an excellent performance, mostly, just loses track at the end a bit. The crowd like her a lot. The panel gives us their views - we didn't get that for the previous act. She gets a seat. Bill Downs sings Songbird through his nose mostly. A very, very short track - just two lines! Better than Danny but no point putting him on a seat, although he does get one for now. Klavko. Oh dear. Whilst he is better than many of previous years' 'Louis Acts' it seems pretty mad to keep him. The crowd are not that impressed either. So far this is a pathetic category. Gary Barker is average. He has a good voice but is really not here as a winner. Berget Lewis puts the others in the shade vocally but she is still not a winner. She can sing but she is unattractive when she is singing and not someone that seems to appeal much. She has come from Holland where she couldn't make it and sees the UK as a better market. She could get a West End part from this maybe. Leroy is an old bloke, 70+. An enjoyable act but really?? Crazy Nicole gives him a seat. At least that sends Danny Lambo home. Loverine is another Filipino act. There are several this year doing well. She was good in auditions and is better than all we've seen so far but is she really current or just a big club singer? Now we get the weird stuff for TV. Nicole gives Loverine Talia Deane's seat while the old man and the boring other guys stay. That is quite wrong. Surely even she can see that. This has to be for TV. Talia does, indeed, get called back and the Bill bloke goes. Kevin Davy White is next and he is a really good singer who does deserve a seat. He's a natural, great voice and nice personality. He'll go far. An easy seat decision and Gary B goes. If Nicole really had doubts about Talia then surely she would have sent her home now? John Lilygreen is next and sings his own song. Good, very professional, although, again, what we see seems much too short and it has to have been edited, surely! I'm not sure how far he'd go but he is better than the old Leroy chap so needs to be kept for now at least. He gets the seat but it is Loverine who Nicole sends away! This is really quite odd. I do not know what is going on. Matt Linnen comes on and you can see that Nicole is a major fan of this guy. He's a bit like Bruce Springstein used to be. One of the best of her category and a definite contender we could see in the Live Shows. His song was a bit of a mess but he's in and finally old Leroy goes. Fair enough. Tracy Leanne Jefford is the one with the accent and very black hair. she has a good song in You Don't Own Me but Simon stops her as she gets going. She struggles with high notes. She offers to do it a capella but still doesn't make the notes. Seems that she has chosen the wrong song, key or something. Simon says that she really should still get through, despite all that. I guess they must have seen her in rehearsals or something. Anyway, to everyone's surprise she gets a seat and John Lily green goes home, not looking that pleased about it, either. I suspect that he won't be supporting the X Factor in future. A very messy set there but eventually the Overs get their six contestants and Talia survives. The last category to be sorted out is The Boys and it's Louis's turn. Lloyd Macey is first on. he has a very fine voice but is just a little too old style for this competition with his auditions. Nice chap and gets an initial seat which makes sense. Leon Mallet is one of a duo that I don't recall. They got split and enter now as individuals. This guy is good and the girls will love him as he has some kind of appeal. He's modern and that went down very well. Louis drags out whether he should or shouldn't have a seat and it's all a bit silly. It's obvious to everyone that he'll get one so let's just get on with the show, Louis. Please. Leon's brother Alex is not so good and he gets sent home. Fair enough. Anthony Russell is the Liverpool lad who was always leaping around and seemed a bundle of nervous energy. He's very likeable and now appears in a dark suit! Very smart but not what anyone expected. He says he's £80 overdrawn and shows us the tags are still in the jacket! He's a great character. Not sure how much of that I believe but more than maybe I should! Anyway, he does a nice, calm version of You're Beautiful. Not the best of tracks and he did start wobbling at the end but the crowd love him and he deserves the seat he gets. Spencer is the guy from Ohio who wished they were still doing X F actor USA. He tries Don't Cha which is Nicole's old group, Pussycat Dolls' track, so risky. He does a great version. very talented. More terrible acting from Louis. Gets the seat eventually. Enesi is another new one to me. He does Human Nature really quite well. They need a black guy on the show but Louis says no. That's a surprise. Enesi is not going to be a fan of X Factor either. Benji Matthews has been very good so far. A bit quirky but the guy can write excellent songs and I can them being picked up by SYCO so he'll get a contact one way or another. It's a too short audition for viewers again but seems very good. Nice personality. Simon didn't like the song but Louis gives him a seat after the usual pathetic acting. Gregor Coleman sings Yellow. Great song but not well performed. Not a good enough singer and this is one of the few times I've disagreed with Simon Cowell who reckoned he was one of the best. He gets a seat. Aidan Martin plays the piano and songs what I think is also an own song. An emotional performance and he puts a lot into this and we get a decent length track for this one. Big audience response. Now the crazy stuff again. Louis wants to give him Leon's seat. No way. Louis brings Leon back after an age and all sorts of TV nonsense. I can't remember who he sends home instead. All a bit silly. Russell Jones is on and is distinctly retro and a bit weird. He is a bit embarrassing and gets sent home pretty quickly. Last up is Jack Mason, the red cheeked slightly chubby chappie that X Factor always seems to find for the grannies. He sings Rise Up which is not an easy song to do. He works hard and maybe goes a bit OTT with this but at least you can see he cares. He gets his pace but silly Louis says it's between Spencer and Benji who should go home. Eh?? What's going on? Spencer does a few lines of A Change Is Gonna Come and is superb. Benji is much less confident with a few lines from Some people and he struggles with the notes so the decision would be obvious. But now Louis wants Lloyd to sing too. He seems pretty mad. Lloyd is actually extremely good under pressure and is better than both of them in that sing-off! So Louis sends Benji home. Sharon and Nicole are very annoyed but that's the way this crazy show goes at this stage. A mad time, not helped by some made for TV moments and some weird editing. at the end, the six people going forward seem Ok and not at all bad as a selection with no majot omissions I can think of. You can see a summary of the Top 24 at the page linked in the menu. Six Chair Challenge: The Girls. No More Annoying Mums. The last auditions in the second (and slightly better) part of Boot Camp continues with people performing on a decent stage in Wembley. The Clique did a very messy version of Scrubs which could have been good but this group we shall see no more. Daniel Quick is a tubby lad who the grannies will love. He gets too much TV padding too, with a whole load of stuff to extend his session. He is off-key despite a good effort and a generally good voice. He does try hard to get through but Simon, seeing quite a lot of sense this year, says no and that's his chances gone for another year. There was a hint here that Nicole might get the Boys. Scarlett Lee is the orange girl. She puts in quite a decent performance but still insists on mangling words unnecessarily. There is some talent there and she is confident and takes her own way forward rather than copying others. The make-up, though, is dreadful and she is not at all pleasant to watch on a big screen. Anthony Russell can only come from Liverpool with that accent. Likeable chap but you do wonder whether he has some disorder with all the bouncing around and need to talk all the time. He is 'manic' as Simon says and gets asked to do something a capella. That's much better as he tends to stay put a bit more and you can see he has a great voice and you can't help liking the chap and his attitude. The crowd love him and he's entertaining too. A possible dark horse. Another group comes on. Could be Rack Su. They clearly know what they're doing and we just get a glimpse and they're through. Tracey Leanne has a great song in Be My Baby which, whilst old school, works magnificently for her. She is quite talented but still has a bit of the cruise singer about her and I don't see her going much further despite getting through this time. 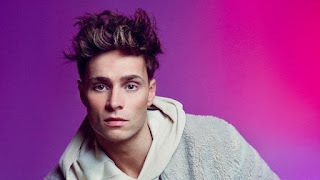 Slavko is the guy from Montenegro's Eurovision entry that Nicole loves for some reason I fail to comprehend. He looks like being the 'odd ball' this year. In fact, this performance was not at all bad as he didn't try the silly stuff with his pony tail which fell off anyway, destroying quite a few publicity shots and his reputation for having the longest one in the business. Deanna sings Thinking Out Loud and always seems to choose quite tough songs. She looks fabulous and is a ready-made star in my view. She was not as good this evening as she has been but I am pretty sure she'll be in the Live Shows and in with a good chance of winning. Talia Dalorto is nervous. Mother calling out is annoying. She is OK but not spectacular. I would drop her at this stage. Nicole Caldwell is really nervous and Nicole S gives her a hand. A very nice touch that didn't seem rehearsed. One she gets going the second time she is much more alive but I still feel she could be a bit too limited for the show. Grace Davis ends the evening with something a bit special. This girl is really, really good. Not only does she come across well but she has an extraordinary talent in writing as she does yet another of her own songs and brings the house down. She is a star, for sure, whatever happens on this programme. We learn at the end who gets which category. Simon has the groups, Nicole the Overs (surprisingly), Louis has the Boys and Sharon the Girls. Now we move on to the Six Chair Challenge. Sharon starts with her choices for the Girls. Scarlett Lee has even more shades of orange now. She claims to be a make-up artists but really someone needs to give her some advice in that department. As for her audition, she puts in a good effort but I fear her mangling of words will get annoying and she is definitely not pleasant to watch. However, there is talent and she gets a seat to start. Hayley gets about two lines of Come Together and doesn't get a chair. She wasn't at all bad in what we did hear but I guess she was never going to get far anyway. Sky Sarong-Hermaline may not be her correct name but that was all I could read quickly. I don't remember this girl at all. Who is she? Another very short effort, though, and too little to get anything from. She seems a nice girl but a bit average. She gets a seat. Rae-Elle is the little girl from Croydon. Just 16 and looks just 16. She does Bridge Over Troubled Water with no backing track. Very good and the crowd like her. She seems quite smart for her years and deserves that seat, albeit still a bit average. Holly Tandy is also very young but immediately comes across as so much better than all we've seen so far! Just spot-on straight away. She sings Lady Gaga's On The Edge really well. A brilliant, if too short, audition. Thoroughly deserves the seat. Nicole, the nervous one from yesterday, has a very good audition with Praise You and seems to have found herself at last. Nevertheless we get the feeling Sharon is not a fan and, despite being far better than several already sat there, she is out. Shanayah, in contrast, is off-key with a bad start to her song. Quite painful listening to her and she has a very annoying mother in the audience. This is awful. So is her make-up. She gets a seat, though. God knows why. Elysa V is from Australia and we haven't seen a great deal of her to date. She does a modern Meghan Trainer number well, the first real 21st Century track really. She can perform and is quite different to everyone else. She gets a seat. Talia D is back with another excellent start. She is a good singer and better than several already seated. She gets a seat. Alisha is the girl from the Philippines that gets lots and lots of coverage - she is like the poster girl for the 2017 show. A very popular act and she has a great voice. 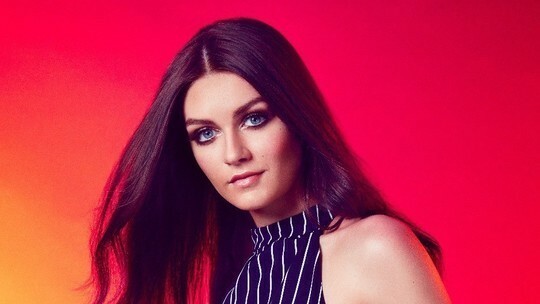 In some ways she would suit the West End better than the charts but I can see why the judges and SYCO would want to keep her on board and get her onto the Live Shows anyway. She has a decent length audition too, interestingly, compared to most others. She gets Talia's seat. Jenny Ball is, again, better than any on seats and gets Shanaya's seat which is a good move. I still don't see Jenny making the Live Shows though as she seems a bit average really. Nevertheless it's good to see Shanaya out. The audience didn't like that, though. Deanna is next. This is my prediction to go a long way in the competition and I can imagine she'll get a contract anyway. She is brilliant again. Her range, appearance, presence and attitude are all faultless. Tonight, though, I still give Holly the edge but, of course, Deanna gets a seat and Jenny goes. Grace Davis produces yet another original song! This girl has so much natural talent. She is a fantastic find this year and ought to be a sure-fire Live Show contestant. Quite a risk to do an original at this stage but it works really well. Great notes, control and the song shows off her voice and range very well, as one might expect, of course. She is a force to be reckoned with and a guaranteed contract, whatever happens. Now the fund starts and you wonder whether we're just being played as an audience. Sharon gives Grace Alisha's seat. This has to be for TV as I know that Alisha does actually get through! So the crowd and other three judges complain and moan and shout for a while. Poor Kelsey Gill has to cope with all that which seems most unfair. A pretty blonde that we have not seen much of, she also does an original and that's a very nice audition. I'd definitely give her a chance but Sharon doesn't. Simon makes a comment that he has seen several girls rejected that he would like to see in the show still. He says to Louis he can see a girl group being put together and, of course, he is in charge of the groups too. Georgina P is pretty good. We have seen a lot of her before and she is a Top 6 girl for sure. She wobbles around some of her notes but is a great performer and better by far than Scarlett. Georgina gets the seat but who goes? Sharon asks Scarlett, Rae-Elle and Alisha to sing again for the fifth and sixth seats. Scarlett's bad habits all returned. Quite painful to listen too and watch. Rae-Elle is so composed for her age. Far better too. The Alisha seems to find a completely different side to her character, producing rap, modern, totally 21st Century performance and making everyone wonder where on Earth that came from! So it's pretty obvious that Scarlett has to go. Good. No more noisy mums. Boot Camp. Glad that's over. This is Boot Camp. 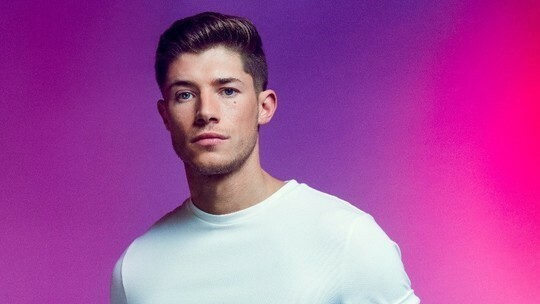 It is not the most pleasant section of X Factor to watch and I really do think they should make some major changes to make this weekend's viewing rather more pleasant. The Wall Of Songs seems a strange concept to me. What on Earth has the ability to run across a room, read song titles and grab them before someone else have to do with one's potential to entertain and delight an audience? Oh well, it's over fairly soon and the slightly better Wembley Stage auditions are much more appropriate for those who reach them. First there are 124 acts that have to get reduced to about one-third the number between now and the Six Chair Challenge coming up next weekend. Kevin Day White just sings and gets on with it. Expect to see more of him. Anthony Russell bounces around rather desperately but could be OK. The Cutkelvins are nicely energetic. Rack Su - excellent again. You'll see more of them. New Dynamix - also good. 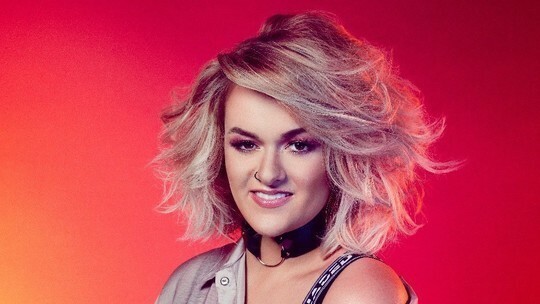 Holly T - one of my favourites except for her serious face which doesn't make her quite as likeable as she may need in the Live Shows which she could reach. FAE - never seen this group before? Aidan - is he really 27? Stood out but a bit off. Jodie - she is very annoying and actually not at all good. Not worth the tv time she's getting. Mother & Daughter 'Descendance' - as expected the mother is pretty useless and doesn't stand a chance whereas the daughter could do well and we get the 'arranged for TV' will-she-won't-she thing and, after far too long, Hayley, the daughter, goes forward alone. Russell Jones - good but in totally the wrong company! Alisah B - the girl from the Philippines is very good, although just a little bit too desperate, I feel. It is odd TV when they say she is not through when one considers the paucity of talent in many of the acts they have put forward to the Wembley round. Deanna - my potential winner. Excellent audition again. MQ - couldn't tell who or what they were. Grace - very good, excellent in fact. Gregor - OK, I suppose but that's all. Now we get Part 2 and some single auditions on stage - much better idea of what the acts could be like. Matt Linnen has a pretty solid audition with a slightly weird If I Were A Boy. He's reliable but i don't see him winning. Shanaya is very popular with the audience but she isn't very good. Massive applause but too many bad notes for my liking. The annoying and not particularly attractive Jodie makes a return. Very modest audience welcome and virtually no applause. She's out, thank goodness. Alisha is back again. Simon says You got so upset. Well, naturally. You chucked her out. She performs Gravity. She is a potential West End star for sure and really should get some offers there. She could be a bit old-fashioned for X Factor 2017 and also does actually miss rather too many notes along the way. She has a nice personality and does make good TV in the meantime. Sean & Conor price were one of the best at the first auditions. Begging seemed OK to me but Sim asks for another. That also seems good. The crowd love them and I'd definitely want to see them progress. They do, eventually, get put through but you do have to wonder just how much of the deliberation and doubt was purely for the viewers. SJ Hill is simply boring and forgettable. Jack Mason - I don't know if we saw his first audition or Boot camp efforts. He is a very good singer. Not sure I want to watch him but he certainly sounds good. Is he modern enough, though? The Cutkelvins are back again. It really is the girl who does it all at the moment. Very professional. Gary Barker - another not visually someone I want to watch but a fair voice. I don't see him going far, though. Holly Tandy is 16 today! Well, the day of that audition. Marvellous. One of the best. Just too young to know what the words of some tracks really might mean, that's all. Sam Beck sings Runaway. He did something like that before too. Great 1950s style voice and I can see him doing well in some West End shows along those lines. He doesn't make it through but does propose to his fiancee on stage! Berget is the Purple Rain lady and is very professional again. She deserves to go to the next stage but I am not sure she is up-to-date and likely to sell records. Karen Kennedy is similar. Good, professional but just out of date now. No-one is going to buy her records. Jordan sings his own songs. Neither are great. That's it for him. Bad move. LT from Essex, whoever he is, does actually have a decent song of his own. He is through but I am not sure he'll catch people's attention. Benji from Cornwall is a pleasant chap. Patchy performance in places and I don't see him going far but the sort of contestant to have around a while. Georgina P is back. She wailed last time and was all over the place but seems to get tremendous backing from the judges. This time she did much better. She is quite the performer and seemed more at home on the big stage. One to watch. That's it. An odd, not very entertaining weekend of X Factor. They did cut many of the bad acts which is a good sign but still a scrappy programme visually. Week 4 and it is all very disappointing. Where are the stars? We're told this is the penultimate round of auditions which means Sunday will be the last. That's good and bad news; good because these have generally not been a great series of auditions and I have not been looking forward to seeing the show anything like as much as I used to and bad because I cannot imagine we could possibly have seen enough star quality people to populate twelve or more spaces on Live Shows. Seriously, has anyone really stood out and made you think Now there's a potential winner? Not for me. We get the fuzzy recaps again and I wonder whether there'll be more groups, noticeably absent so far. It's a theme park, again. X Factor must have done a deal with Alton Towers or whoever the other one is. Spencer Sutherland has come from Ohio. Maybe they need to resurrect X Factor USA. It's Nicole's old school town and this is the first of at least three lads she genuinely fancies during the weekend. He's OK. The collar adjustment at the start is a bit dated, though, but I guess there's some hope he could improve and be entertaining. Alex & Leon are ITG. Great Yarmouth. Bingo. Oh dear. Grannies will love them. I don't. They do an Ed Sheeran number and may have some potential but are a bit tedious. Simon agrees and says no. The others put them through, though. Matt Linnen is the second chap for Nicole. He sings Trouble in a lazy way. It's OK and worth putting him through as he could do a great Bruce Springstein number. Scarlet Lee is extremely tanned, embarrassingly so. Awful. She hails from Surrey and its seems Essex has spread west. She claims to be a make-up artist but I feel sorry for anyone getting made up by her. She way too much hair and that colour face! This is one of those extended auditions, supposedly for our entertainment as she gets to do another song. She has drawings of the judges that she did ten years ago. T shirts, banners get waved by her relatives outside. Jeez. This is painful. 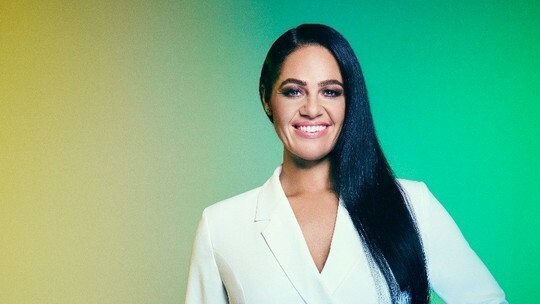 She could sing but needs an awful lot of advice to get out of bad habits and I still don't fancy seeing her on my screen. She just makes it through. Rayelle is next. 16 and from Croydon. She's pretty good and the first modern act of the evening. Good performer too but hardly a future star at this point of the game. Brad Howard is a model and knows he's good looking. Nicole's attracted for the third time. He does look good but he has no chance. nevertheless he makes Boot Camp. How? Now we get the crazies. Peter Warwick is an actor. Louis likes him. Afro Swagg. Oh dear. Awful. Another Louis group. Salvco Kalezic was Montenegro's Eurovision entry this year. He has a ridiculously long pony tail that I vaguely remember being part of his act in Eurovision. He is weird. A good performer but really not someone anyone will want to vote for. Montenegro didn't even make the Final either. Alisah has come from the Philippines and gets a lot of build up. You expect something very special but she is disappointing. No bad but it's a nervous start and many notes are not great either. In places it is painful. All very emotional, though, and as she's a sweet girl she gets through. Of course. Having ended Saturday's show with someone reasonable you kinda hope they'll continue on Sunday as there really is a need for some good acts. Have they been saving them all up for us? No, Oh dear #2. Two blokes in white suits. Bros but far worse than Bros. Awful. And they wonder why viewing figures are so low?! Next we get two halves of a professional duo auditioning separately. Johnny Wright is not very good at all. Jenny Ball is much better. She tries to sing Titanium. That was not that great either. Maybe better than many who have been put through but i don't see her gong very far. The judges like her but she was hardly 'amazing' as they all claim. I'm still waiting to see someone that I look forward to seeing again. This is not a great start. Suzi Shepherd wastes most of the programme. Pathetic - very poor and obvious set-up for tv, getting her to do another number that requires some sort of change of clothing. What on earth was the point of that?! Rueul Elijah sings This is how to do it and finally we get a reasonably good audition. His range isn't great but he has bags of personality. Danny Lambo has three Lamborghinis, apparently. Oh dear #3. He's followed by an equally idiotic Simon who is dressed in gold and is also rubbish. Then we get Just Us. Oh dear #4. Even worse - Louis and Nicole seem to feel they need to get on stage to join them and Simon is booking the act for UK's next Eurovision entry. I am about to give up on this show. It isn't even funny. Dreadful televsion. Berget Lewis is a big lady from Holland. She used sing in church so you get the idea of where she's coming from and where she's likely to go. She does Purple Rain and is quite professional, having been a backing singer for many years. She isn't 'fantastic' though, as the judges say. I guess after all they've had to put up with she might have seemed fantastic in comparison. She's just old style belt it out. I am beginning to think that some of the Just Eat people are as good as many of the people auditioning this year. We get a fuzzy intro for the Saturday show and it all has a distinctly 2004 feel about it. Fortunately, although there are the ageing Simon, Louis and Sharon, there is no Steve Brookstein. Once again, I have a feeling many viewers may have switched over as the start featured some chap called Amrick, a male Asian Honey G who is dreadful to watch as well as listen to. Yet, somehow, three of the four judges ruddy well vote him through. How can that possibly make sense? Beverley follows and is awful. Young Benji is just 17 and it's one of those set-up auditions where he gets stopped after a short time in the first song and gets asked to do another. He does and makes Boot Camp. Tracy Leanne Jefford has a classic Essex accent, although, as a 'traveller', she may come from many places. She's interesting, at least, but not spectacular. Simon gives the game away a bit by remarking afterwards that she's the kind of act that people will like to see on TV. Two more come and go dreadfully badly and I am beginning to think about giving up on this audition stage and just waiting for the Judges Houses round. This is turning into some sort of Oldies Entertainment Show. Russel Jones arrives and he sings in Old People's Homes, which kinda continues the theme! He is, however, the first good act we see tonight with a performance of I Wanna Be Like You which sounds like it should have been rubbish but wasn't. I can see him doing well as the jazz thing could work well. Remember Ray from around 2008? We are now in Edinburgh and Alysha Dixon has replaced Sharon. Gregor Coleman gets the stop treatment and we know that he will come back with something much better and get through to Boot Camp. Nicole Simpson is a genuine professional and sings almost perfectly. Quite where she fits in for the 2018 charts, though, I'm not sure but, at least, we get some decent notes and a nice performance. She almost takes it for granted that she'll make Boot Camp. She's probably seen the others. Gregor comes back and reminds me of Paulo Nutini. Very good and very current. We'll see him again, for sure. Sean & Conor Price are a very young Irish pair. They do All Along The Watchtower. Wow. That makes the programme worth watching. Marvellous. I wouldn't be surprised to find that this is already a YouTube hit. SYCO will have them signed whatever happens and Simon says that they shouldn't let anyone change the way they dress, perform etc. Sunday now and the Production Team have clearly got a thing about the intros as this time we get some high voltage effort for no apparent reason. We're in Liverpool and you expect good things. Megan Byrne is quite good. Quirky, strange singing style but she could be interesting with some work. Now we get the sad cases. A very annoying old bloke, a sad funny blonde lady and some idiot called Jamesy. Oh dear, why show these people? Finally we get someone decent. Chloe Rose Moyle is 16 and has an Ellie Goulding sound. She's excellent. A couple of just OK people, Harry Holmes and Imogen Harrison who get through to Boot Camp easily but may not be obvious candidates to go too much further. Descendance are a mother and daughter pair. The daughter's great, very modern and good to watch. The mother is a waste of space. If the daughter can appear on her own she'll be around for a while. Some woman called Ashley who prefers to be named Queen A is just sad and has an annoying personality and very wide cheeks. The Clique call themselves The Click and are very camp. Louis likes them a lot. One is extremely tall, even taller, perhaps than Rylan Clark. Talia from Essex is good, natural with a strong voice. I like her. The show ends with Gary Barker and he also gets the 'Have you got another song?' treatment. Of course he has another song. It's on the list in front of you as they all submit a few that they'll perform if asked. His second song is the classic Change Is Gonna Come and he has a great earthy, bluesy sound but I still don't see him getting that far, despite the last spot for the weekend. Week 2 Part 2 starts with us being told that it's the hottest day of the year which doesn't exactly bring a sense of how up-to-date we are in what's been happening in X Factor Land. 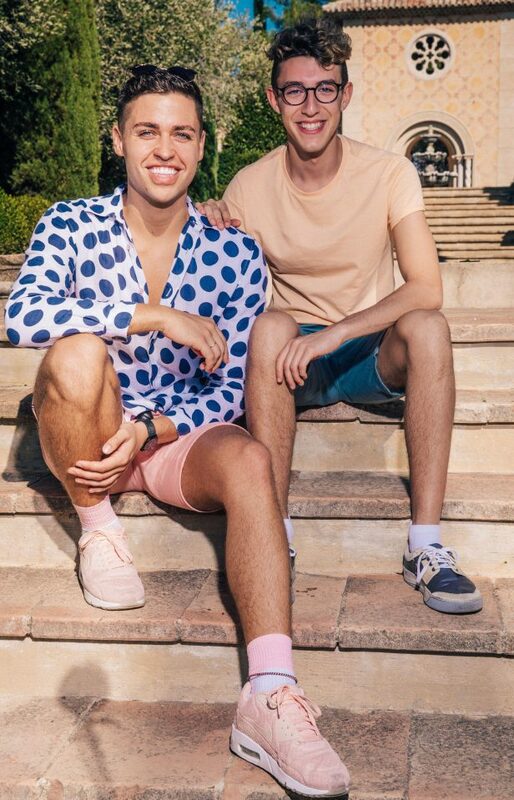 For all we know the final 24 are already at Judges' Houses. The producers still seem the same bunch despite my recommendations that some get sacked after the first few efforts at entertaining us and we get to watch some big girl in a yellow dress sing surprisingly badly. People are already looking at the TV guide to see what else they can watch. Fortunately a girl from the once pretty successful Neon Jungle leads a new group called Cutkelvins in a great audition and I would expect them to have made the Judges' Houses as they're ready to go in many respects, modern and could appeal widely. We get glimpses of someone called SJ Hill and Harrison Styles who seem pretty good but we can't really tell and you wonder what the point is in even showing the clips. Then someone called Daniel Quick gets a very long intro and occupies a complete chunk of programme between adverts. I don't see this guy being a great advert for the X Factor at all as the only people who would buy his stuff if he did make the final would be grannies at Christmas. He may be talented but more in terms of ballad singing in 1973 or thereabouts. A group from the Philippines called JBK bring their Pino Pop to the UK. They can take it back again. You just get the feeling they are a sort of karaoke machine themselves. Odd. Another glimpse of a Spanish girl, Elyza, I think, who was OK and then some classic unfortunate phrases as a young lady from Anguilla appears. All week we have been hearing how Hurricane Irma has devastated the island and the extraordinary, massive destruction that has occurred there and in other parts of the area. So It's beautiful there and I want to put Anguilla on the map have a distinctly hollow ring today. Quite sad, too, was her song title I have nothing. Let us hope that the island communities can be rebuilt quickly and life restored to what certainly was a beautiful place and perhaps the adversity may tilt to Deanna's advantage. She is, genuinely, good and has the look of a potential winner already. Her voice is a bit tinny at the top of her range and I've heard that song performed better but she is good and could be a serious contender with the right material. In complete contrast is Andy Holloway from Scunthorpe who appears at first with some very strange looking bloke called Scott who is quite scarily lanky and morose. Andy sings an original which is still well out of tune. Why show these people, especially spooky Scott? Aidan Martin is the last of the night. A nice enough chap, back again after 10 years. He has written a very good song, packed with emotion and seems to reach to Sharon in particular with his emotional lyrics and expression. His voice is a bit nasal and his breathing needs some work but it'll be worth seeing him again. The show then just closes as the competition is advertised. It was like there were no more auditions that could even vaguely be entertaining. That doesn't fill us with confidence. So far we have just about got enough for a reasonable final and that's all. Twelve live shows could be difficult without a few more. I am really hoping they do something about the sad trestle tables next week and just make a bit more of an effort to make things look better on screen. They may have chosen to return to 'old style' room auditions but they could, at least, bring a bit more professionalism to the framing, furnishing and backgrounds in the room.